Medical aid pays for essential medical services rendered by registered practitioners, health facilities, clinics and hospitals. As with any form of insurance, members pay monthly premiums for this cover. The pooled money then pays the expenses of members who require it. Discovery KeyCare Plus is one such medical scheme option. A medical aid’s monthly premiums are based on many factors, including the number of members, age, affordability, and employer co-payment. Purchasing a medical aid plan is often a grudge purchase, and you only fully realise the benefits of health cover in the event of an emergency or critical medical condition. A heart bypass can cost over R150,000. 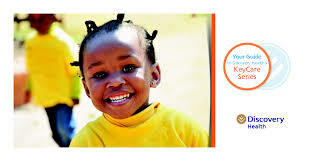 This is a cost you would have to carry without a medical aid such as Discovery KeyCare Plus. It is widely held that South Africa’s medical aid system is better and more advanced than private health insurance in places such as the United States. The benefits of medical aids in South Africa, such as Discovery KeyCare plus, over private health insurance is that they do not discriminate against new applicants and any person can join a medical aid, even with a serious condition such as HIV or cancer. There have been instances in the United States when a private health insurance company refuses to cover bypass surgery. That is something a South African with medical aid will not experience after the first year of cover. 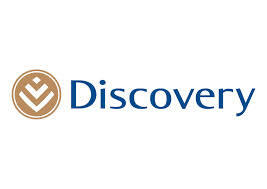 Discovery medical aid over 2.6 million members and the widest plan range. It offers a range of plans and Discovery vitality,a wellness programme that encourages you to get healthier through exciting rewards. The Discovery KeyCare Plus plan is part of the Discovery KeyCare Series, Discovery Health’s most affordable cover. The Discovery KeyCare Plus benefits include cover at the KeyCare network of hospitals and doctors. This includes hospital cover in the Discovery KeyCare Plus network of hospitals with no overall limit, an ambulance or helicopter in a critical emergency, cover in the Discovery KeyCare Plus specialist network, cover in the KeyCare network for a gynaecologist and essential antenatal tests during pregnancy and unlimited cover for GP consultations, blood tests, x-rays and medicine in the KeyCare network. With Discovery Health KeyCare Plus, most in-hospital healthcare services have no overall limit, apart from the mental health, alcohol and drug rehabilitation, and terminal care benefits which do have certain limits. Discovery KeyCare Plus members can go to any casualty unit at any one of the KeyCare Plus network hospitals. They must pay the first R185 of the consultation. There is full cover for approved treatment at healthcare professionals who have an agreement with Discovery KeyCare. Treatment by a specialist outside this network will be covered up to 100% of the Discovery Health Rate. KeyCare Plus provides full cover for a list of chronic conditions if the medicine is on the KeyCare medicine list, with a co-paymentof 20 % on medicine purchased anywhere else.On the Discovery KeyCare Plus plan, your chosen GP must prescribe the chronic medicine. When joining KeyCare Plus, a GP must be chosen from the Discovery Keycare Plus doctors list. If you need to see a doctor and your chosen GP from our network is not available, each person on your membership can go to any GP once. Monthly contributions to Discovery KeyCare Plus are based on the member’s monthly income.